So you’ve got a fridge thanks to Aceco’s Bondi fridge rentals. The only problem now is the fridge is empty and you’re fresh out of lunch ideas for work tomorrow. Never fear – not only are we your Bondi fridge rental experts, we also have some tasty lunch ideas up our sleeve. Here are ten of the easiest and most delicious lunches sourced from our collective genius (and a few borrowed recipes.) Make them up in advance to keep in your rental fridge for a quick escape out the door in the morning. These are simple and quick. You can use a number of combinations to spice things up. We like provolone, turkey, cranberry and cucumber or bacon, lettuce, tomato and cream cheese. Simply place your ingredients on the wrap, roll it up and chop into 3-4 pieces. It’s like low carb sandwich sushi! 2. White bean, tomato and avocado salad. This takes less than five minutes to make. Grab a can of white beans, drain and wash and place in a bowl. Chop half an avocado into cubes and add to the bowl. Chop and deseed a roma tomato and add to the avocado and beans. Separately, in a small bowl add a tablespoon of mayonnaise with a squeeze of lemon, a dash of balsamic vinegar and a little salt, combine the mixture. Top your bean mixture with your dressing and mix well. Tasty, nutrient dense and vegetarian. That’s a hat trick. Is that not the best combination you’ve heard in a long time? 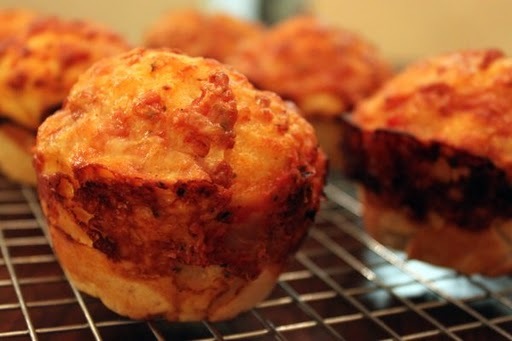 These savoury muffins can be made up in a large batch and kept in the freezer of your Bondi fridge rental for convenience. The ingredients include self raising flour, egg, tomato, bacon, cheese, milk, zucchini, garlic and italian herbs. Simply combine the ingredients, divy the mixture out across a greased muffin tray and bake for 20 minutes. For the full recipe head here. 4. All in one meatballs. Meatballs are a classic but when we have them with spaghetti we often miss out on our veggie servings. Try this new take on them: combine 200g lean chicken mince, an egg white, 50g grated carrot, 50g grated zucchini, a shake of garlic powder, a shake of onion powder, salt, pepper and a sprinkle of italian herbs in a bowl. Roll the mixture into 8-10 good sized meatballs and bake on 180 degrees celsius for 20 minutes or until golden brown. Serve on rice or a green salad. You can also freeze these and keep them in your Aceco fridge rental for days when you’re pressed for time. 5. Greek Yoghurt Chicken Salad Sandwich. Chicken salad on a sandwich is nothing to be excited about, which is why we were surprised to feel excited when we read this fresh (and delicious) take on the good old chicken sandwich. It includes greek yoghurt, cranberries, almonds, shredded chicken breast, diced apple, red onion and lemon juice. Check out the recipe here. This one is perfect for those mornings when you need lunch made in the next 10 minutes. Preheat a fry pan with a little butter. Then simply place 3-5 egg whites in a mixing bowl, add a dash of milk, salt, pepper and whisk until combined. Add any of the leftovers in your Bondi fridge rental- spinach, mushrooms, feta, ham, tomatoes or grated cheese are all great options. Mix together and place the entire mixture on your hot pan. 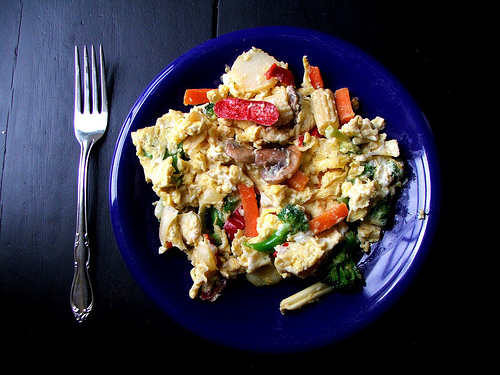 Scramble with a wooden spoon until well cooked and transfer to a tupperware. Serve with bread on the side or without for a gluten free option. Keep these in your Aceco rental freezer for a quick defrost on the run. All you will need is a muffin tray, turkey mince, carrot, onion, some spices, capsicum and egg whites. This recipe should take you no longer than 20 minutes. If you are looking for a quick and easy lunch without the carbs give this decadent option a go. Simply fry pre-made or homemade burger patties until cooked medium, about 30 seconds before removing from the heat place a piece of cheddar cheese on top. In the meantime, chop a little onion, tomato and avocado. Get a large piece of lettuce and place your cheese laden patty in the middle, top with your onion, tomato, avocado and wrap. Add a little tomato sauce when you’re about to eat them. Saute finely chopped red onion and purple cabbage until soft. In a bowl mix a can of tuna with a little olive oil and mashed avocado. Once cooled add the cabbage and onion to your tuna mixture and combine. Lay out a piece of seaweed (nori) and distribute the mixture evenly a few centimetres in from the edge and then roll. Chop into 4-5 pieces long ways and transfer to a small tupperware for a delicious and healthy lunchtime. 10. Peanut Butter Banana Quesadilla. If you prefer to mix things up with a sweet lunch or 3pm snack treat that takes you back to your primary school days this is the recipe for you. The bonus is it only takes 5 minutes. Check it out here. Once you’ve created these delicious lunches you can keep them cold and fresh in your Bondi fridge rental. What’s that? You don’t have one of our Bondi fridge rentals yet? If you’re looking for a short-term, convenient answer to your fridge woes give us a call. We offer a range of rental products to suit your situation and our top quality brands will keep your easy peasy lunch creations cold or frozen for you. We will also make sure you have enough time to cook these delicious recipes by offering a free delivery and install with all of our Bondi fridge rentals. Get in contact today to organise your new fridge.